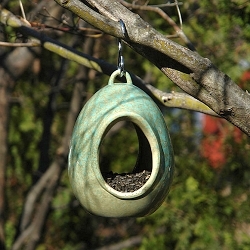 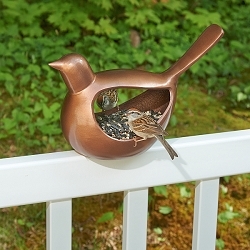 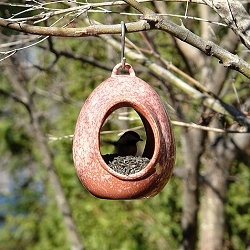 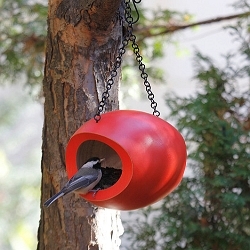 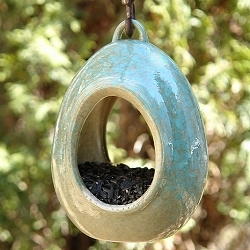 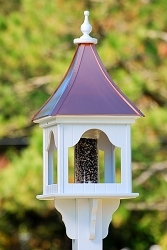 Quality handcrafted Fly-Through Bird Feeders. 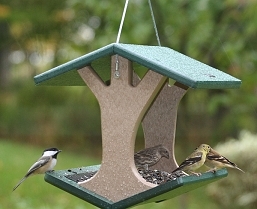 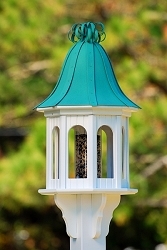 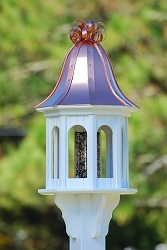 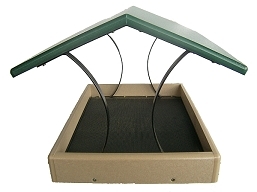 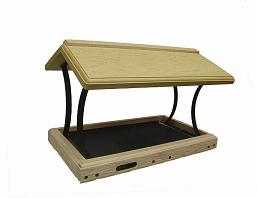 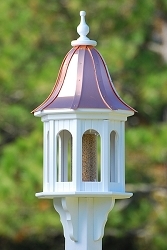 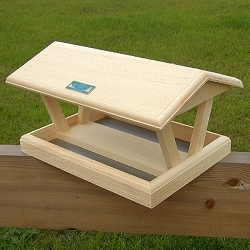 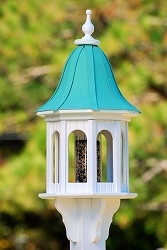 Fly-Thru bird feeders are platforms that offer an open design and canopy or roof to protect seed from the elements. 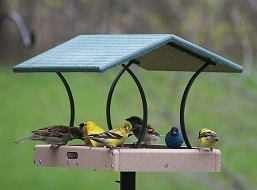 Birds can land on and perch on all four sides while they feed. 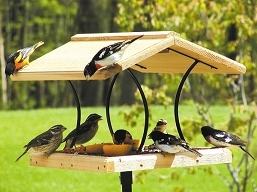 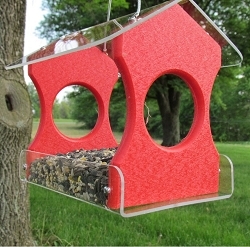 Because of the open design fly-thru feeders offer the greatest visibility for watching wild birds as they feed. 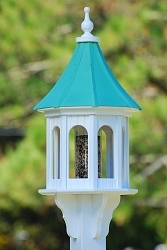 Fly-Through bird feeders are functional, as well as decorative. 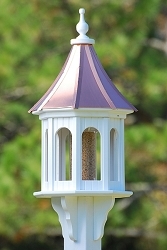 They can be hung, pole or post mounted. 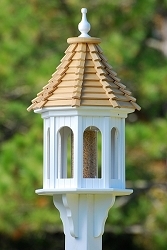 Construction includes western red cedar, eastern white pine, metal, and eco-friendly recycled plastic.